Google+ is becoming increasingly popular since its launch in the summer of 2012. Although Google+ has been slow to rival Facebook in terms of sheer number of users, Google+ offers incredible potential for local business marketing and search engine optimization (SEO). 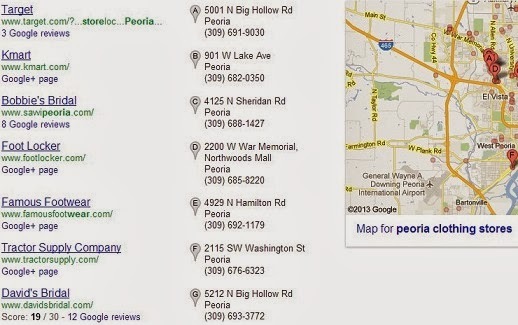 If you take a close look at the Google local search results (accompanied by Google Maps and the red pins,) you'll notice the social elements of reviews positioned just under each business listing. In short, this is social media blended with search, and as a result, Google+ Local pages can contribute to local SEO. If you're local business marketer looking to ramp-up your local SEO efforts, below we share some solid tips to help you make the most of this emerging social platform. Once you claim create your company's Google+ Local page, look for the option in the lower right hand corner to "Verify Your Listing." 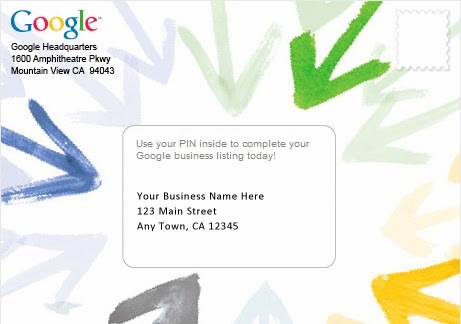 Google will simply send your business's address a postcard with a PIN. Once the postcard arrives, you can enter the PIN on your Google+ Local page and your done. This easy first step is critical to display to Google that your Google+ Local page and your business is legit place. If you're still lost, check out this page from Google. Populating your Google+ Local page with optimized and informative content will help increase the page's local SEO value. You may be asking "what do you mean by "optimized content?" Before you upload images and videos to your page, you can actually keyword optimized this media. (Learn how to optimize images for SEO. The same process applies for videos, too.) Additionally, populate your page with as much information as you can. It doesn't hurt to use your SEO keyword targets in the business description, but only do this in a mindful and user-respected manner. Lastly, use the "Links" section to add links to some of your most important webpages and blog posts. The final step to leveraging Google+ for your company's local SEO strategy is to add link to your website to your Google+ page. This is also Google-recommended option that you'll find while in edit mode on your Google+ page. Here you'll the "Publisher" mark-up to the link (it's generated automatically from the Google+ page) which tells Google that your website is the publisher of this page. In short, this link brings it all together for SEO. If you're looking to generate better rankings in Google's local search results, these foundational steps are critical to jump start your SEO strategy. If you want more specific tips for using Google+ for SEO (or local SEO in general) visit OIC Group, Inc. a Peoria SEO company that offers a wealth of insights about SEO, PPC, and social media marketing.